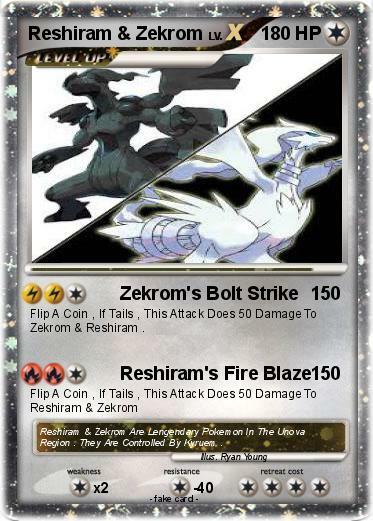 Flip A Coin , If Tails , This Attack Does 50 Damage To Zekrom & Reshiram . Comments : Reshiram & Zekrom Are Lengendary Pokemon In The Unova Region . They Are Controlled By Kyruem .